This Backup Camera system comes with a 7" TFT LCD Digital Color Monitor that firmly clamps onto the existing rear view mirror of your vehicle. This monitor displays adjustable distance grid lines that assist in determining the position of your vehicle in relation to vehicles or objects behind you. It includes an in-built speaker and all its functions are controlled with the on-screen touch buttons or remote which is included.. 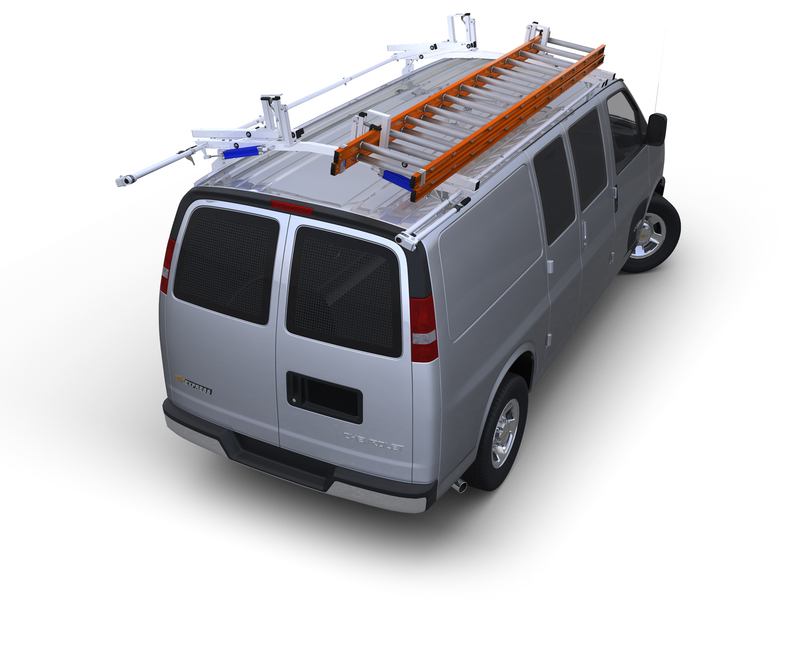 This Wireless Backup Camera System for the Ford Transit van comes with a 5" LED Digital Color Monitor and a Suction Cup Mount that firmly attaches to the windshield of your vehicle. This monitor can receive a 100' digital wireless signal which is guaranteed to work even at highway speeds and comes with two powering options - a cigarette lighter plug and a hard wire option. This Backup Camera system comes with a Rear View Mirror Monitor that replaces the OEM rear view mirror with an ultra-bright viewing screen and reflective surface that combine to provide an all-in-one backup ability. The monitor displays adjustable distance grid lines which assist in determining the position of your vehicle in relation to vehicles or objects behind you. This Backup Camera System comes with an OEM style mirror mounted monitor that replaces the existing rear view mirror for a clean OEM look. The monitor with this backup camera system not only provides a rear facing view on its 4.3" screen but also comes complete with a built-in forward facing dash camera that records high definition video footage out the front windshield. A SD card slot accommodates SD cards up to 32GB and when full, recording will loop and start overwriting the oldest footage. This Backup Camera system comes with a 7" TFT LCD Digital Color Monitor that firmly clamps onto the existing rear view mirror of your vehicle. This monitor displays adjustable distance grid lines that assist in determining the position of your vehicle in relation to vehicles or objects behind you. This Backup Camera system comes with a Replacement Rear View Mirror Monitor that replaces the OEM rear view mirror with a ultra-bright viewing screen and reflective surface that combine to provide an all-in-one backup ability. The monitor displays adjustable distance grid lines which assist in determining the position of your vehicle in relation to vehicles or objects behind you. 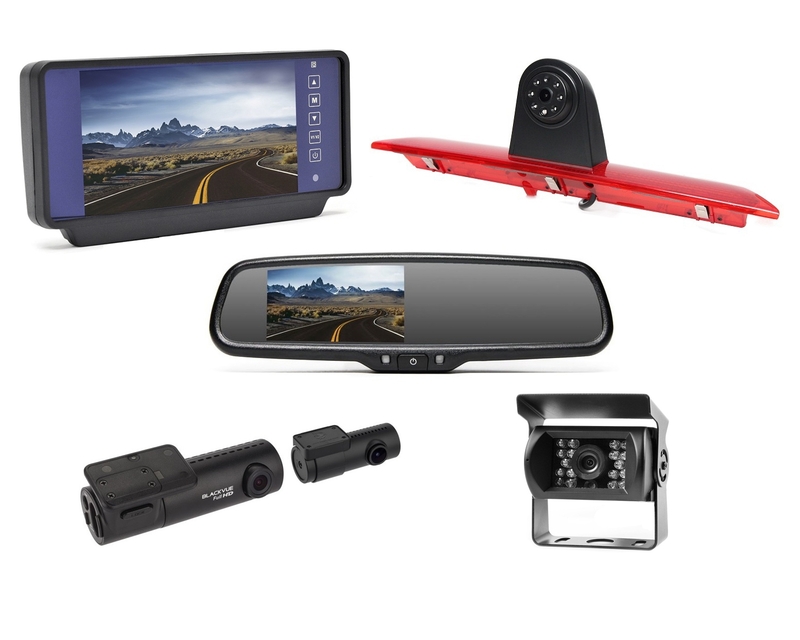 This Backup Camera system comes with a Replacement Rear View Mirror Monitor that replaces the OEM rear view mirror with an ultra-bright viewing screen and reflective surface that combine to provide an all-in-one backup ability. The monitor displays adjustable distance grid lines which assist in determining the position of your vehicle in relation to vehicles or objects behind you.